Where To Buy Local and Organic Food? Although London is an expensive city, there are still a variety of ways to find food that is affordable and also local and organic: good for people and planet. The following ways of buying food are good options for a number of reasons. They offer a way for you to support your local community, help the environment, and perhaps even discover a range of products that are not readily available in the supermarkets. One way of buying affordable local and organic food is through subscribing to a vegetable box scheme. Veg box schemes are sold as a weekly subscription, either delivered to your door or available for collection at a specified point each week. 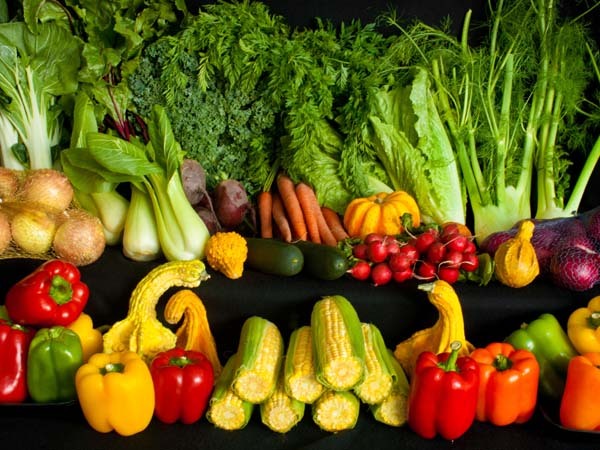 The contents of your veg box vary from week to week depending on what is in season. Farmer’s markets are an enjoyable way of buying local and organic food. It provides a way for you to see your produce before you buy it, build relationships with producers, and maybe pick up some new cooking tips while at the market! London’s only fully organic farmers’ market run by Growing Communities. A place to buy directly from small sustainable farmers and growers, helping to support small, sustainable farms and farmers across London. It runs every Saturday (10am-2.30pm) and is located by St Paul’s Church, Stoke Newington High Street, N16 7UY. A weekly organic market selling organic and ultra-local sustainably grown fruit and vegetables, plus homemade bread, jams and preserves, and refills of household cleaning products. It is held everyday Saturday (10am-3pm) in Hornbeam Environmental Centre, 458 Hoe Street, London E17. A community market stall run in partnership with Transition Leytonstone, selling ultra-local sustainably grown fruit and vegetables, and UK grown certified organic produce It runs every Saturday (11am-3pm) in St John’s Church, Church Lane, Leytonstone. Sunnyside Community Garden run an organic food market, where you can buy organic fruit and veg, pasta, meat, eggs, oil and juices. A percentage of the profit supports their mental health work. It is held every Saturday (10am-3pm) at the corner of Hazelville Road and St John's Way, N19. What are food buying co-operatives? Food buying co-operatives are a way of buying food together with a group of like-minded people, whether in a workplace, in a community, or with a group of friends. What are the advantages of using food-buying co-operatives? For the individual: Buying in bulk and collectively can help to save you money, enabling you and your community to eat healthily at a smaller cost. For the environment: Since food is being delivered to one central point, such as an office, less packaging and energy is used. For the community: Food-buying co-operatives can impact positively on the local food economy, benefitting local farmers and food producers by providing them with access to a large number of potential customers. It also helps to create a community feel by bringing everyone together through food shopping! The Tottenham Food Co-op (www.back2earth.org.uk), a non-profit food market based on volunteer labour and sustainable food. The Greenwich Community Food Co-op (http://www.greenwich-cda.org.uk/gcda/greenwich-community-food-co-op/), established in 2002. The People's Supermarket (www.thepeoplessupermarket.org) in Holborn.